Expert speakers in the pest animal and weeds field will gather for two workshops next week to be held in Gulgong on Wednesday 27 March and in Pyramul on Thursday 28 March. 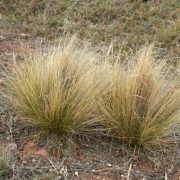 Landholders in both areas have requested a focus on serrated tussock. This is an invasive weed of pastures, with the potential to infest entire properties. In the local region it causes a great reduction in carrying capacity as it is indigestible to livestock. 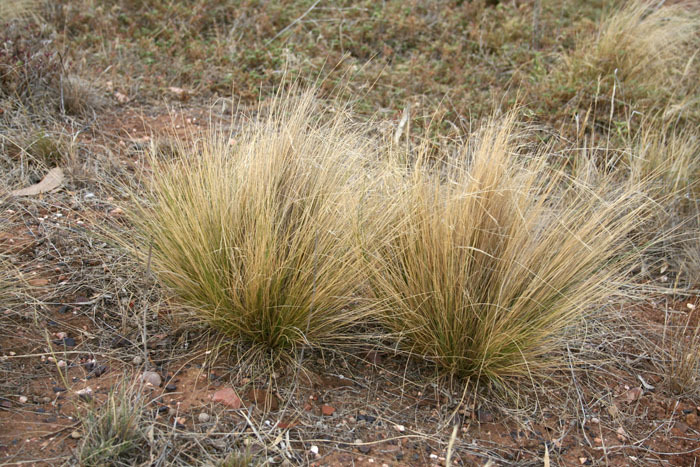 The Australian Government has serrated tussock listed as a Weed of National Significance (WoNS). This means that it is one of the thirty two worst weeds in Australia! WoNS are seen as a priority due to their invasiveness, potential for spread and environmental, social and economic impacts. Serrated tussock has a life span of over 20 years and a mature plant can produce more than 140 000 seeds per year which can be blown up to 20 km by wind. It’s one weakness is that seedlings do not compete well with other pasture plants. Unfortunately, with the current run of dry seasons, ground cover is very low giving serrated tussock a prime opportunity for expansion. These workshops are therefore a timely opportunity to explore management strategies. Staff from the Local Land Services and Mid-Western Regional Council will be on hand to discuss serrated tussock and other weeds that landholders may want more information about. People are encouraged to bring in samples of weeds that they would like identified, but remember to bring it in a bag, we don’t want your problem to become everyone else’s! The Biosecurity Act will be overviewed to help attendees understand land manager’s obligations for pest and weed control as well as compliance options. Wild dogs, pigs and deer will also be covered on the day with a real focus on new technologies to help combat these pests. Both workshops are free, with morning tea and lunch provided by local CWA branches. The Gulgong workshop will be held at the Gulgong CWA Hall on 27 March and the Pyramul workshop will be held at Green Hills Crossroads Shearing Shed, Pyramul on 28 March. Both workshops will run from 9am to 4pm. Please register by Monday 25 March. For more information or to register please contact Watershed Landcare Pest Animal Group Coordinator, Beth Greenfield on 0438 090 525.